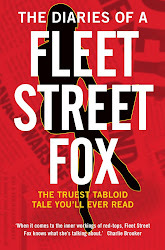 THAT was the week that brought down the most powerful woman in Fleet Street and had Rupert Murdoch crawling on his hands and knees to apologise to Milly Dowler's family. A few people were arrested, some policemen looked pretty bad and lots of other stories continued to not get quite as much attention as the phone-hacking scandal. This post on the imagined voicemails being exchanged between Rebekah Brooks, Rupert Murdoch, Dishface et al was the most popular of the week. Jerry said: "You need to be writing comedy." Nicola added: "Oh another classic post from Foxy.... very very funny." "That was bloody brilliant. Wish my mum would leave me voicemails about hats and stuff. That's the only thing I envy about Rebekah Brooks (as portrayed in that post) that I envy. She can keep the rest of the stuff going on in her life. I'm good." The week's next post on Kate Middleton's appearance - I still can't call her Duchess of Cambridge, it sounds weird - during the Royal visit stateside drew more criticism. The Itch said: "Possibly. But I'm not sure comparing her to the dead mother of her new husband is the way to break it to her." 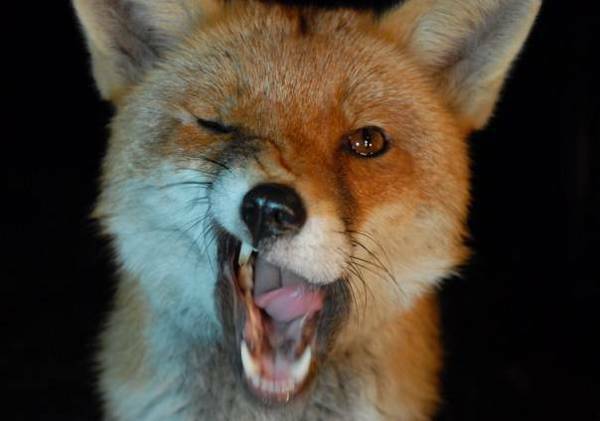 Lucy added: "Ffs Foxy - so what?!? Jeez." Joanne chipped in: "Protruding bones just ain't healthy or attractive." And Lisa wrote: "Oh yay! Another 'Ben & Jerry' blog." "Stress and excitement plus nervous anticipation makes weight fall off me, unintentionally. I guess that's what is happening to Kate, she has been thrown into the A list spotlight and appears to be having a great time!" "I think you've picked the wrong target. You're doing a great job but stop banging on about the 'Duchess' and her weight - she's doing her best in a very difficult job. Slag her off at your peril! As my Dad used to say, 'If you can't say anything nice about someone, keep your mouth shut'." Ed: Jeez, then where would newspapers be? In all seriousness I wasn't picking on her size so much - she's a naturally skinny girl, fair enough - as the fact that she's now plainly unwell. Whatever the cause, metabolic or psychological, the girl needs to have some of the pressure taken off her and tuck into a nice healthy pasty. Of course such comment adds to the pressure - but the alternative is keeping your mouth shut about something that doesn't seem right. Not what I do. As the phone-hacking scandal continued this post pointed out that responsibility is being dodged while the bandwagon rumbles ever on. Robbie said: "Spot on." Kev said: "Eloquently put, as ever." Caroline added: "Smashing stuff, foxy." But Colin pointed out: "Vengeful fantasy? Not buying that." Then a judge said divorce was easier than getting a driving licence and this post explained why it perhaps marriage ought to involve sitting some exams first. A rather cynical Richard said: "No-one has ever convinced me that marriage is anything better than a moment of smugness, followed by a lifetime of regret." Moungder said: "I couldn't agree more - and I'm just about to his 15 years of marriage next month!" Ruth added: "I've ALWAYS thought exactly the same thing. Having done both, it always hacks me off when people say how divorce is so easy when the sanctimonious feckers have never done it." "My 1st wife left on a Sunday, came back Tuesday to say it was 'too hard to talk about' and did the unreasonable behaviour option, she never told me why, would never discuss it. Moved in with her boyfriend and 16yrs later I've still not had any explanation as to what built up to it. So, for her, it was easy, too damn easy. Like telling some kid in a schoolyard that you are no longer 'going out'. So from my experience IT IS EASY, too easy. All she had to do was sign a letter full of lies." Ed: QED - If getting the marriage licence was harder work, perhaps that wouldn't have happened. At the end of the week lots of things happened, but one of them was the blog hit its three-month birthday and 300,344 readers, all on the same day. Lime said: "It's all my doing, of course. Without me, it would only have had 300,343 different visitors. You're welcome." Jones said: "Three months? Is that all?! You seem to have been around forever!" Ed: No, I just look that way. Looks like the weekend will be a bit of a washout - enjoy it best you can, anyway.